Fritz Tams brings more than 40 years of experience in land development to Invistec. 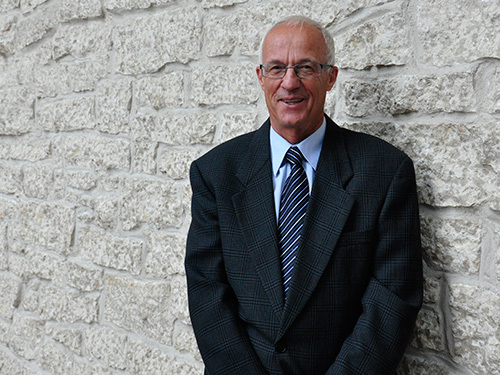 After moving from the Netherlands to Coldhill, Alberta during his adolescence, Fritz attended NAIT and received a diploma in Survey Technology in 1970 and immediately began working as a Legal Surveyor with Stuart Weir Legal Surveying. By the end of the decade, Fritz had quickly transitioned to a Surveying and Construction Supervisor role at Brier Engineering; an emerging engineering and construction firm in Edmonton which later became Stantec Consulting, in no small part to his unmatched combination of technical savvy, professionalism and likeability. A competitive squash player for 25 years, Fritz also has a competitive drive that has translated to his professional career, as he always strives to complete projects and follow through on promises. Now, after nearly five decades in the land development industry, the last 20 years of which were spent as a Project Manager with Stantec, Fritz is universally well liked and highly respected within the development community, and brings a wealth of experience, respect and leadership to Invistec, while also mentoring the next generation of project managers to follow in his large footsteps. At this stage in his career, it’s the mentorship opportunity and the ability to continue to work on complex and exciting projects that keeps him drawn to the work at Invistec. He enjoys watching cities grow and evolve, and spends most of his free time traveling the world to understand how the evolution of cities that is occurring in other countries can be applied in the local Edmonton context.